The Victoria office has moved to the food court level of downtown mall! this is a confusing website. it is not clear at all. i want to know the hours of the passport office near me and it doesn't show. so where do you find this information? Where has the Surrey office moved to?? Yes, it was frustrating that no info was provided with the new Surrey location. It's been moved inside Surrey Central Mall, right beside T&T oriental supermarket or across Shoppers Drug Mart. Good luck to all! This is a very misleading web site. 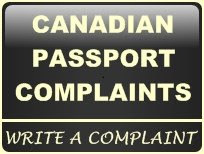 Make sure you check that it is a Passport Canada Office and not just a Service Center. Big difference if you are in a hurry for your passport. Typical!